In Georgia, there are two alternate voting methods: advance voting and absentee ballots. These two voting methods are primarily used for flexibility for casting an election ballot in the election. There are no restrictions on a voter using the absentee ballot method. Additionally, a voter who requests an absentee ballot by mail is not required to provide a reason why he or she is voting absentee. While absentee voting in currently used, in the past, voters work schedules or family responsibilities hindered them from voting in the election. Quitman is a small city located in South Georgia. It has a population of 5,000 people, which is comprised of approximately 67% of African Americans. In 2008, a group of the town’s citizens went around encouraging local residents to register to vote because of the importance of their vote. This promotion served well as it resulted in hundreds of newly registered voters. The African-American community of Quitman chose three candidates to run for political office. Relying heavily on advance voting and voting via absentee ballot, the three African-Americans candidates beat white incumbents in the primary election and eventually in the November election where the incumbents entered as write-in candidates. The Brooks County residents were indicted on November 22, 2011, on several counts of alleged unlawful possession of ballots that favored the board members and interfering with an elector in the 2010 Brooks County school board election. Georgia’s Republican Governor Nathan Deal removed Dr. Nancy Dennard and Linda Troutman from their positions on the school board via executive order, a strange and extreme move considering the fact neither one of these highly qualified educators has been convicted of their alleged crimes. The three suspended Board members were disenfranchised from their position when they were removed from office on January 10, 2012. To date, the case is still pending against the Quitman 12. Attorney Tiffany M. Simmons and Rufus Law, LLC emphatically supports the Georgia voting process, in particular voting via absentee ballot. Allowing individuals to vote through the absentee ballots is important to allow everyone to have a voice in an election. Attorney Simmons is one of the 12 attorneys working on the “Quitman 12” case. Rufus Law sends condolences to the family of Latashia Head who passed away since the beginning of this case. Mediation is a form of alternative dispute resolution (“ADR”). It is a way of resolving disagreements between two or more parties. The mediator, a third party, assists the parties in discussing the dispute with the goal of a resolution between parties. As an alternative to litigation, mediation can be applied to any dispute that two parties cannot resolve alone. For instance, mediation is commonly used in landlord tenant disputes as well as used in contract disputes between two business entities. The neutral mediator facilitates rather than directs the mediation process. The financial benefits of mediation versus filing a lawsuit are an attractive incentive to those seeking economical ways to handle their quarrels. While the cost of litigating a matter can be unpredictable and high, mediation fees are often a fixed rate/fixed time frame. As a great alternative to litigation, the mediation process generally takes much less time than having a trial, sometimes achieving a resolution in a matter of hours. While most court proceedings are open to the public, mediation remains confidential. No one aside from the parties to the dispute and the mediator will know what happened during the mediation. Confidentiality is so important that if needed later the Courts cannot force a mediator to testify in court as to the content of the mediation. Mediation increases the control the parties have over the outcome. Mediation empowers each side to lead in obtaining a favorable outcome. Alternatively, in court the judge or jury controls the end result of the matter. The possible resolutions that may emerge in mediation are endless and often depending on the parties’ willingness of cooperation. In resolving the matter, the parties can be creative but more importantly, they agree in order to resolve the matter. Therefore, mediation is more likely to produce a result that is mutually beneficial for the parties. Parties of mediation are most times ready to work mutually toward a resolution. In mediation it could be inferred that the parties are more willing to understand the other party’s side and work on underlying issues of the dispute. This understanding and unity towards a common goal oftentimes preserves the relationships of the parties prior to the dispute. Currently, Terrell Owens has a contract dispute with Indoor Football League (IFL) team, the Allen Wranglers. The Wranglers cut Owens from the team and he lost his ownership in the franchise due to a breach of contract allegation. It is alleged that because Owens failed to show up to a charity event representing the team that he breached his contract with the Wranglers. Owens contends he was not in breach but rather was not notified in a timely fashion of the event, which a representative of the team has since admitted. Owens recently threatened to sue the Wranglers if he was not given a public apology about the false accusation that Owens purposely missed the charity event. Owens also wants to be compensated $160,000, his remaining salary due, for the final four games of the Wranglers season. Team representatives have shown no indication that the Wranglers will give Owens either the public apology or his remaining salary of his contract. To date, Owens has not filed suit against the Wranglers. Mediation is an attractive option in this present case because it appears that both parties may be willing to work towards a common goal to resolve their differences. Moreover, in the event that the matter is resolved with mediation it would save both parties expensive litigation costs. Rufus Law specializes in the mediation of contract disputes. Attorney Tiffany M. Simmons has been a certified mediator since 2009. Attorney Simmons, using her expertise, can help resolve contract disputes between parties quickly, comprehensively, and in support of a fair resolution. 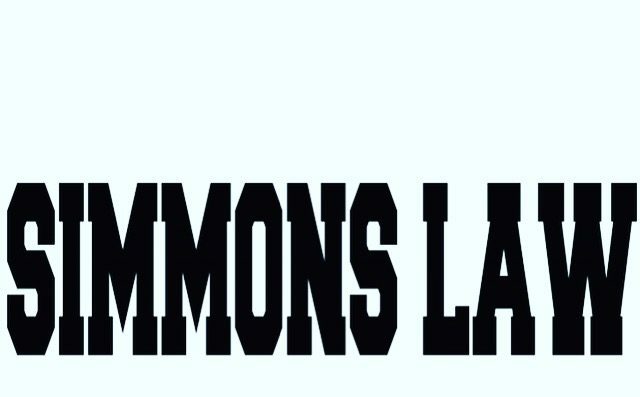 Attorney Simmons allows for parties to voice their concerns in a comfortable setting while guiding the parties to a resolution. Call us now at 1-888-91RUFUS to learn about our mediation rates. Now offering to corporations, the first two hours of mediation free of charge.